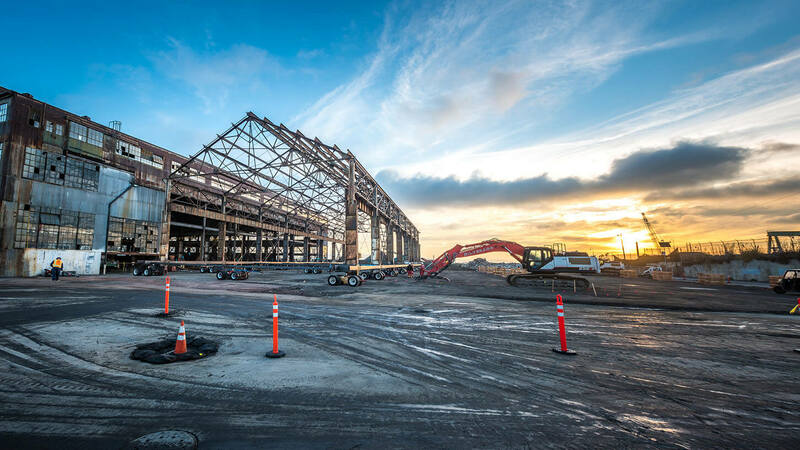 An HMR Supplies project has been featured in the February 2016 edition of American Crane and Transport magazine. 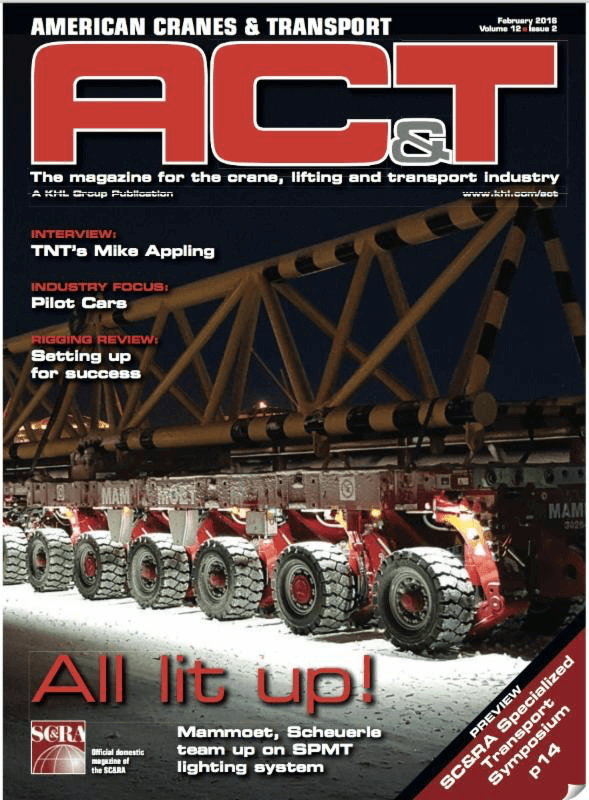 The magazine for the crane, lifting and transport industry. The article highlights the historical Egloff house move that required our company to engineer and manufacture a bridge to complete the structural move. 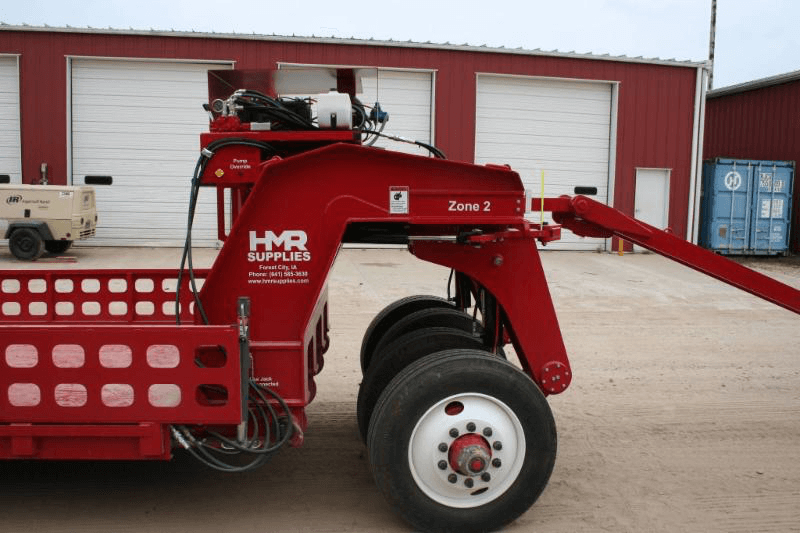 HMR Supplies recently completed a custom project designed for a specific application that required moving product within a narrow path with overhead height restrictions. Our engineers designed a cart with a 40,000 llb capacity and a knuckle suspension that could be raised and lowered. See our testing film below. Call us todayto solve your unique moving and hauling challenges. Looking for engineering expertise for your custom project?  A recent job highlighted HMR Supplies’ engineering proficiency by mobilizing an engine section for NASA’s new rocket. Four 55T Holland Dollies and a Holland Power Unit were used to safely transport the engine. 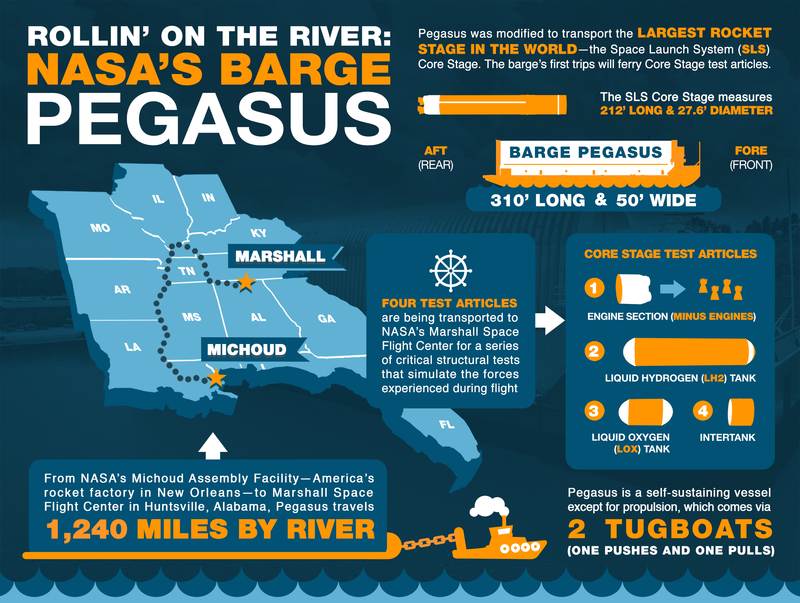 The engine section was loaded onto a custom barge (Pegasus) at the Michoud Assembly Facility in New Orleans, Louisiana then traveled 1,240 miles by river to NASA’s Marshall Space Flight Center in Huntsville, Alabama. The size of this engine section is huge, check out the image provided by NASA. Read more about the NASA Project here.